and How To Hold Your Judge to Constitutional Standards. Ever been told that you should just agree to the bad deal your ex is proposing to you because you weren’t going to get a better deal in the family courts? Learn how you can stop playing the rigged game, expose the court’s lies, and use your rights to do it! Your judge has no problem shaming you, calling you names, and creating conditions that even lead to felony charges and other criminal penalties when you had never committed a crime or been convicted of a crime before. All because you love your child and just wanted to spend time with your child. You thought your attorney was going to protect your rights. Then you found out the family court system is rigged. They play parents like a fiddle. They count on you being willing to gamble with your rights. Your rights become a pawn for sale in the family court market. They count on you to get emotional and completely be blind to your rights. They count on you to believe your attorney and trust the judge. They count on you to be naive and to believe that the judge cares about the truth. Ever been called names like deadbeat and told that you are a deadbeat if you don’t pay child support, as you stand there and say that you want your child equally, and you testify that you have been heavily involved in your child’s life since the day they were born, have cared for them, fed them, changed their diapers, and loved them? Ever been told that you don’t really care about your child if you don’t give in to the other parent, stop disagreeing with the other parent, don’t want to pay the other parent? Ever been told that you aren’t thinking about your child’s best interest if you are asking the court to protect your rights? You are right and standing up to them is actually part of how you protect your rights. If they can get you to concede and give in, they will argue that you consented. It’s easier on them to get you to give in, and they can exercise broad power and control over you and spend your money when you do. There is one thing that the family court hates the worst, all of the attorneys know it, the judges take an oath to follow it, but everyone pretends it doesn’t apply to you and your child in a divorce, or a child custody suit between two fit, disagreeing parents. In fact, some states even created best interest of the child factors that state on their face that if the parents do not get along, that a judge should not order joint custody. Maryland is one of these states. While they did not make it a hard and fast rule and they leave it up to a judge’s discretion. The Women’s Legal Defense wanted the objection of one parent to be the controlling factor for preventing joint custody orders, they claimed that it negatively affected the welfare of the child. Guess they hadn’t seen the statistics yet and saw how harmful it is to create a noncustodial parent and a second-class child. A parent just last night was saying that he was never told that this was the mandate in the statutes to the judge. This father says that he might have done things differently if he had known. He says he probably would not have asked for an expensive best interest attorney to be assigned to his case. Attorneys are playing along with the game and just holding parents hands as they get screwed in the process. Have your civil rights been violated in the family court? Were you denied due process? Has your child been stolen from you, kidnapped by the family courts? If this sounds like you or you don’t want it to be you, you will need tools and information that the attorneys are failing to provide. What if I Don’t Fight for My Rights? It is actually more damaging to your child if your rights are stripped from you. Your child has concomitant rights to be with you. Your child has the right to be protected by you. That protection includes your authority to guide them and rear them as you see fit. That protection includes you making the best interest decision for them when they are in your care. They have a right to associate with you as much as you have a right to that association. You both have a right to not have the government interfere with your association and relationship. And the list goes on. The state will tell you that it is stealing your time and restricting your rights to your child in the best interest of your child. When parent go through divorce and a child is artificially stripped from a fit and loving parent, these children are victims of parental alienation. The current divorce process encourages and rewards alienating behaviors, at least initially. Because judges believe that they have broad discretion and believe that application of their family code statutes is constitutional, the results that parents get are all over the board. A parent does not know what kind of result they will get from one day to the next, and one set of parents in one courtroom might get completely different results than parents in the courtroom next door, with the judges following the same family code. This is harmful not only to the children and the parents, but also to the judiciary. When the people can no longer rely on, predict, and trust the results they will get from the courts, the people lose faith in the judiciary. The judiciary knows that their only power is if the people believe that they can get just if they take their grievance to a judge. Family courts are harming our children, separating children from fit and loving parents, driving fathers and mother’s out of children’s lives, driving fathers into poverty, and driving mothers into poverty by requiring parents to fight over the children. A parent who doesn’t fight is sure to be stripped of rights to their children. They may not call these proceedings terminations, but in some cases you really wouldn’t be able to tell, the effect and the results on the children appear to be the same. The current family court practices are unconstitutional, biased, and is a rigged winner-loser system that Pete Sessions admits is designed to enable the state to receive federal incentive money from Title IV-D, according to a recent video shared by Talking Points Memo Senior Journalist Cameron Joseph. How do they get away with this? By telling you the most effective marketing slogan ever created and the biggest lie ever — that they did this in your child’s best interest. Many believe this phrase to originate from Hitler’s Mein Kampf manifesto. Many parents have complained that this feels like the biggest racketeering and extortion industry they have ever been exposed to. Bernie Madoff is nothing compared to this machinery. Yours, your child’s, and even possibly the grandparent’s financial resources will be sucked dry in this racket and when you are out of resources they will toss you aside and move on to their next family victims to tear apart and destroy emotionally and financially. This is a machine that cannot exist without constant funding. What Can You Do if Your Court is Corrupt, Stealing Your Child, and Violating Your Rights? Parents are learning that the family courts are corrupt and evil, use children for profit, do not care about children, and regularly violate constitutional rights. One of the problems is that parents learn this too late. 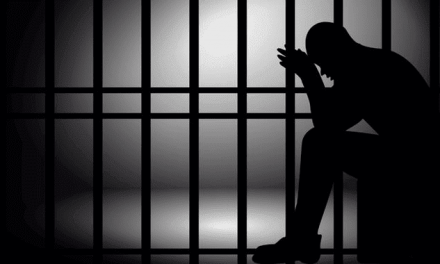 By the time you realize what is happening your child is already stolen, you have gag orders and restraints on you, and you are subject to punitive orders that carry stiff penalties. Usually by the time a parent notices that something is wrong and hasn’t been done right, that rules and steps were skipped, that what they are calling adjudicatory hearings are really dispositional in nature. Don’t understand these things, no worries, you don’t need to understand them to understand this new book. And anything you need to understand is explained in the book either in the body of the text or in a footnote on the page. Parents are regularly told that the constitution does not apply in family court. Attorneys tell parents this, judges, and even some appellate courts have done this as well. When you are going through the family court system, you feel like you are in a maze or being asked to put a puzzle together without knowing where the pieces go. You are never shown the big picture or where this puzzle leads. It’s like building a puzzle blindfolded. We take the blindfold off of you and turn on the lights. This book found that puzzle piece for you and this is the one that has the key to unlocking the gates to freedom, your freedom to keep your money to spend as you choose and not have it extorted from you as child support, the freedom to not have to maintain the marital lifestyle, the freedom to not be punished for decisions you made during the marriage, and the freedom to live your future as you choose, not fear how you parent your child. Wouldn’t it be nice to not worry about what the other parent thinks about your choices and decisions? Wouldn’t it be nice to not have to worry about what the judge thinks about your lifestyle? What you have needed is a way to prove that the constitution applies to the judge. Sure, the judge takes an oath, but since the judge is denying that the constitution applies, your argument needs to show that the constitution absolutely does apply to your judge in your child custody trial. I know it sounds ridiculous but that is how archaic family law is right now. Because the courts have been getting away with this for so long they have been able to trump things up and get parents to believe it, they have been able to play out a false narrative and use fake authority and trick parents into believing that they have the power to tell them what to do, how to raise their child, and how to spend their money. 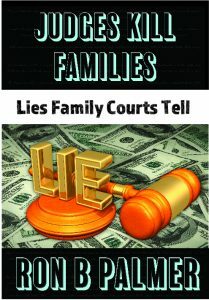 They are wrong and this book will help you see how to prove that the Constitution applies to your family court judge. This book walks you through the past 70 years of the 134-year body of case law so that you will know how to argue that your judge is limited by the Fourteenth Amendment. We have come to the conclusion that the only way family law is going to change is if we publicly shame those liars who perpetuate the current system through these kinds of unconscionable acts. This book is the first in a series of books designed to do just that. 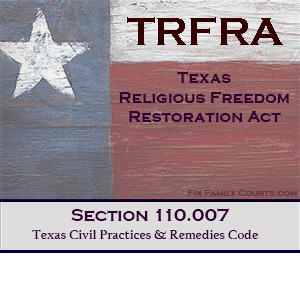 We published this book to help you retain your constitutional rights to your children and your children’s rights to you as their natural parent or to restore those rights if they have been improperly taken from you by one of these judges. Ron B. Palmer just released this groundbreaking book in the membership site! It is only available to the members right now. This book is not available on Amazon yet. Once it is available on Amazon the membership price will go up. Get in cheap now and read all our books online right away, no waiting! Learn the truth or pay for their LIES! 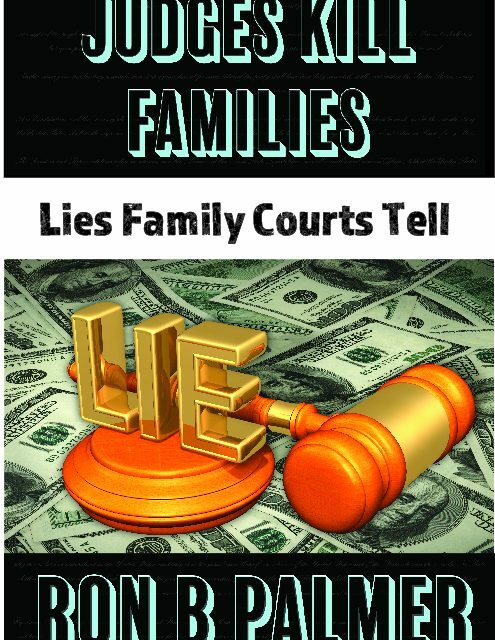 Get access to the book: Judges Kill Families: Lies Family Courts Tell right now and you will have the means that many parents before you have not had to prove once and for all that the constitution applies in family court! Believe their lies and you could be paying for them well into your future. Any parent that uses the system to unconstitutionally steal your child and attorneys participating in this unconstitutional state practice, could possibly be held responsible for the interference of your rights and time with your child. Possession of your child is precious so we spend the time to make these breakthrough discoveries and help you understand them, and provide you with the case law that enables you to make the arguments without you having to invest thousands of hours yourself. You can only read this book in our membership site right now. Become a member and read it as much as you want, when you want, as often as you want. The book is searchable and you can access it from anywhere you have an internet connection. This book takes your custody fight to the next level! This is what you have needed to prove that you have rights in the family court! You won’t find this information like this anywhere else. This brand new, the case law however goes way back. This book goes back 125 years and shows you how the courts have been lying to you. Click here to learn more about this book and read it now! Once this book is published to Amazon the membership price for those who are not already members goes up to 29.99 a month. No contracts, no commitments. This money goes back into the fight for justice in the family courts! Your membership is a meaningful contribution to stopping these courts and attorneys from using you and your child for profit! We are here to help you and provide you with information that attorneys are not giving you. If you are being told that this is not how things are done, we tell them that the way things are being done has been wrong, and the way that we teach is how it is supposed to be done according to the United States Constitution. Want to prove them wrong and get out of the madness that they want to keep you in? You’ll have to be willing to fight like hell. Get the motions, get the membership, get the books, get it all, and keep your rights, keep your child, and keep control over your future! *We are not attorneys, not a substitute for an attorney, and do not practice law. There are no guarantees what results you will get. It’s My Job to Destroy Parent-Child Relationships…Will That Excuse Save Me?